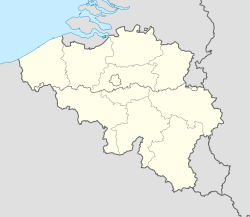 Estaimpuis (in Dutch Steenput) is a Walloon municipality of Belgium located in the province of Hainaut. It consists of the former municipalities of Estaimpuis, Bailleul, Belgium [fr], Estaimbourg [fr], Évregnies [fr], Leers-Nord [fr], Néchin, and Saint-Léger, Estaimpuis [fr]. This page was last edited on 13 January 2017, at 06:46 (UTC).